Your Remodeling Guys is the company to trust for all of your kitchen remodeling needs, whether you live in York, Lancaster, Harrisburg, Allentown, Bethlehem, Scranton, Wilkes-Barre, Albany, or Portland or nearly anywhere else in the Northeast. Your Remodeling Guys has served the area since 2007. 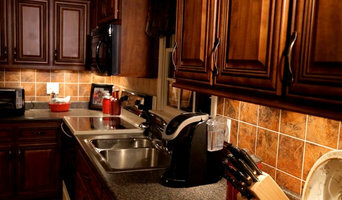 Your Remodeling Guys offers all the options when it comes to remodeling your kitchen. We offer the traditional cabinet removal and replacement that most people are familiar with. This is usually the best option when your existing cabinets are falling apart or might have some damage. But Your Remodeling Guys also offers kitchen cabinet refacing where we completely change the look of your kitchen using your existing cabinet boxes. You can change from a knotty pine kitchen to a more modern white shaker style kitchen or even go from a lighter kitchen to an elegant dark cherry in a 4 piece raised panel door. You can get the look you're after, in less time and for less money than a complete tear out. Of course all the hinges, drawer glides, hardware, and accessories can all be updated to make your kitchen function like a brand new kitchen. And for everyone who currently has a solid color kitchen, Your Remodeling Guys also offers a kitchen tune-up. The cabinet color and finish stay the same but we replace the old doors with new doors. This would be best option when the doors are showing the most wear but the cabinet finish is still in great shape. In addition to cabinet options, we also offer a full line of counter tops from laminate counter tops, granite counter tops, and all the way up to high end quartz counter tops. With so many options available for your kitchen, it difficult to know where to start. 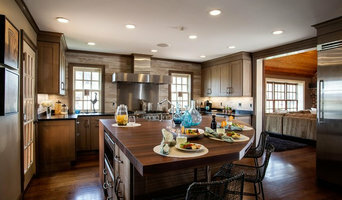 Your Remodeling Guys makes it easy with the help of our kitchen visualizer found on our website at www.YourRemodelingGuys.com. You can play around with different cabinet, counter top, wall and even floor color combinations. If you'd prefer, we can also meet face to face with one of our highly trained kitchen designers. Both options are free so if you're thinking about remodeling your kitchen, you have nothing to lose by checking out the online kitchen visualizer on our website or by giving Your Remodeling Guys a call for fun, more personalized design experience. 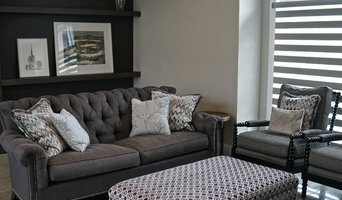 Here at Interior Design by Anastasia, our design philosophy is simple and honest. The ideals of our approach are comprised of integrity, knowledge, value, and quality. We are a small family shop making custom kitchen cabinets, bathroom cabinets, office furniture, bookcases and counter tops – From design to installation. With hundreds of cabinets, countertops, and accessories to choose from, you and your G.R.Mitchell, Inc. design specialist can develop the perfect solution to fit your home. In the past half century, Kountry Kraft has evolved from a small family-owned business into one of the leading custom kitchen and custom cabinet manufacturers in the country. We pride ourselves on crafting the highest quality, custom product. Not only that, but we deliver it on schedule and with fair prices. Our highly skilled team utilizes an honest and genuine approach that has been crucial to building our legacy of superior craftsmanship and outstanding service. We would love to design, build and install your custom cabinetry and furniture. Contact us today to learn how we can help you achieve your dream room! Crafted by Design, at RM Kitchens we orchestrate with homeowners, interior designers, architects and builders to create a fresh look throughout your home. Got mess? We are your affordable option for stylish organization. From your disorganized pantry to your small closet space, we are experts in function and design. O'Hanlon Kitchens, Inc. is a family and veteran owned kitchen remodeling and cabinet refacing company that services South Central Pennsylvania and Maryland. We offer quality kitchen remodeling products and service at affordable prices. O'Hanlon Kitchens main priority is attention to detail and direct communication with our customers. Staying on target with timeframe and cost of each project is of extreme importance. The first step to obtaining your O'Hanlon Kitchens dream kitchen is to schedule an appointment for one of our experienced designers to give you a Free In-Home Design Consultation. We look forward to speaking with you! Foxcraft Cabinets is a family-owned custom cabinet shop located in Lancaster County, PA. Since 1979, customers have trusted us to provide professional design service, superior handcrafted cabinetry, and on-time deliveries. We continue this commitment with personal integrity by serving you in an honest, fair, and ethical manner and by making your satisfaction our priority. While we do sell custom cabinets through several contractors and dealers, most of the time we work directly with the home owner, stepping you through the design, build, and installation processes. Most of our work has been done not only in our home territory of south-central Pennsylvania, but also in the Mainline Philadelphia area and in northern New Jersey near New York City. We would love to work with you to develop a beautiful and highly functional kitchen filled with time-saving features. Check out our projects to see what we mean! Cabinets and cupboards are crucial organizational components of any kitchen or bathroom. Yet, for such an essential element, homeowners often compromise on their cabinetry, settling for cabinets that neither complement their style or meet their needs. Custom cabinetmakers in Paxtang, PA has the transformative power to create a practical yet personalized space unique to you by creating custom cabinets that have all the storage elements you need as well as the stylistic ones. Custom cabinets have the benefit of being designed specifically for you in terms of both appearance and usability. When it comes to stock cabinetry, you are limited to generic, cookie-cutter designs, dimensions and colors, which isn’t ideal for outfitting a uniquely shaped kitchen or for showcasing your personal style. Custom cabinets are solely crafted based on your specifications and needs, and while they are pricier than pre-made pieces, you’ll receive a higher level of craftsmanship and durability when you work with a professional on Houzz who specializes in custom cabinets in Paxtang, PA. Create an ideabook on Houzz and save examples of the custom cabinets you want — this will help your Paxtang custom cabinetmaker get on board with your vision and make your design a reality. Additionally, if you are undergoing a remodel, keep in mind that a blueprint needs to be finalized prior to any kind of cabinet building and installing; given the one-of-a-kind nature of a custom cabinet, room dimensions need to be completely finalized before any work can commence.